Academic writing in English is primarily intended for students in higher education. We have in mind students who are expected to hand in independently produced English as part of their programme requirements, for example in the form of assigned term papers, practice reports or a final thesis. But the book also offers valuable advice for non-students, for people in diverse professions who are assumed to possess good writing skills, but may not have them. We adopt an approach that gradually narrows the focus. We start out with a general discussion of the genre academic writing and its linguistic characteristics. We take students through the stages in the writing process, raising their awareness of the nature of the writing task and the appropriate level of style that the task requires. We also discuss matters of text cohesion, which is crucially important in text production. Most of these aspects can be referred to as macro-level concerns. Then, zooming in on the micro-level, the sentence level, we focus on problems that detract from the quality of any academic text, such as impoverished vocabulary, syntactic breakdowns and lack of compactness; Norwegian writers need to learn how to compress more meaning into fewer words. There is also a condensed presentation of the contrastive dimension, the main areas of grammar where Norwegian and English differ. A special chapter, central in all academic writing, presents the standard conventions for correctly acknowledging, referring to and quoting text-external voices. Plagiarism has no place in academic writing. It also includes advice on bibliography-making. 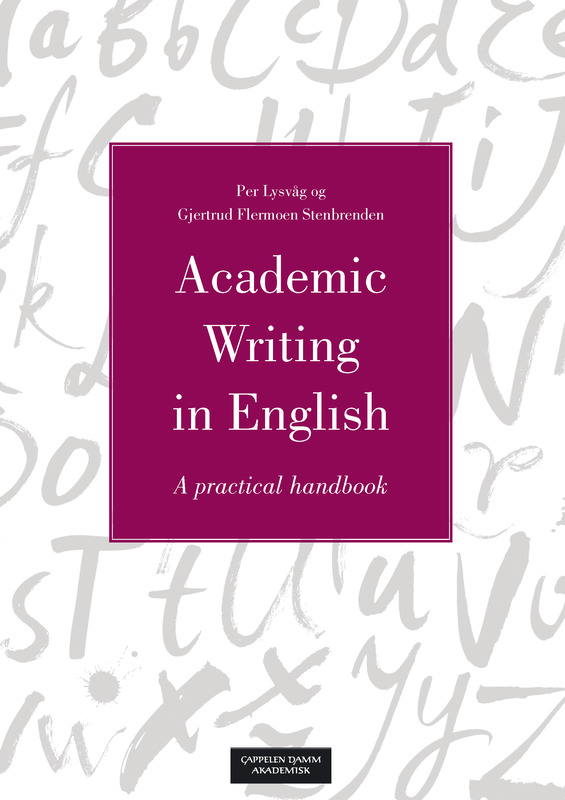 Academic writing in English provides its users with academic insight into the characteristics of well-written texts and offers practical advice on how to attain the same level in their own writing. The book is amply illustrated and includes innumerable exercises. Per Lysvåg is retired Associate Professor of English Language at the University of Oslo. Over a period of some 30 years, he has authored and co-authored a number of textbooks for students of English. Gjertrud Flermoen Stenbrenden is Associate Professor of English Language at the University of Oslo. She has taught a wide variety of courses in English language, including academic writing, for more than 15 years.